Over the past 2-3 months, our family has eaten an insane amount of “pasta”… and I say “pasta” in quotations because I haven’t opened an actual box of pasta in months. 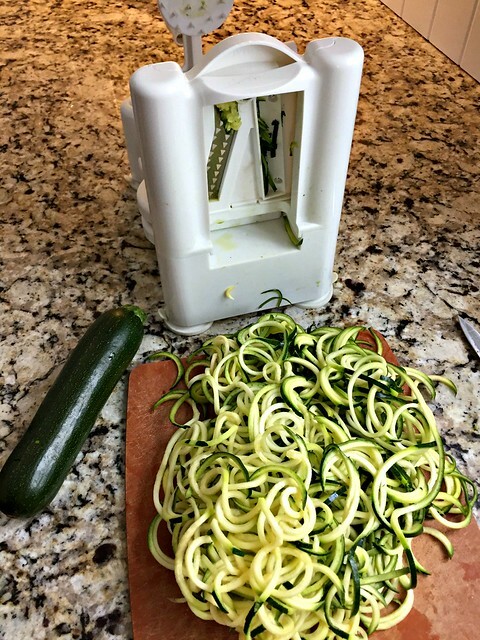 Due to the huge influx of zucchini and spaghetti squash from our garden, we’ve been swapping traditional pasta noodles for zucchini noodles (a.k.a. 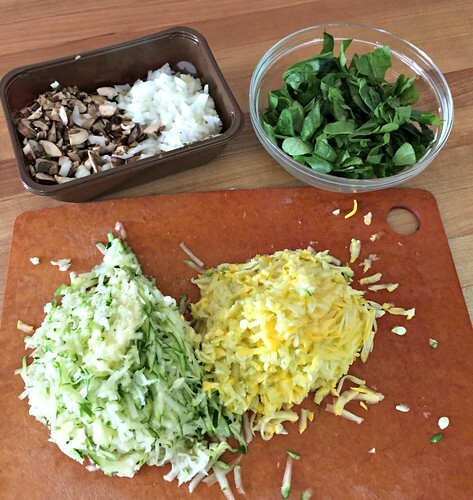 zoodles) and spaghetti squash all summer long. 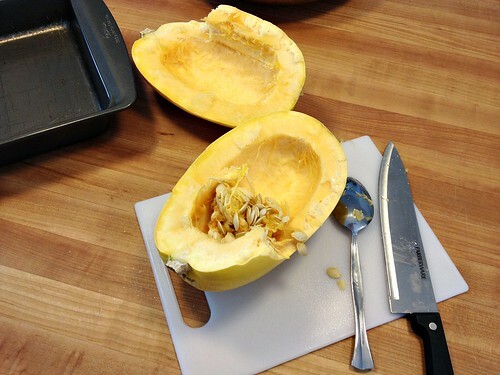 I still have a pretty big basement stockpile of squash — so we should be set through the fall months! 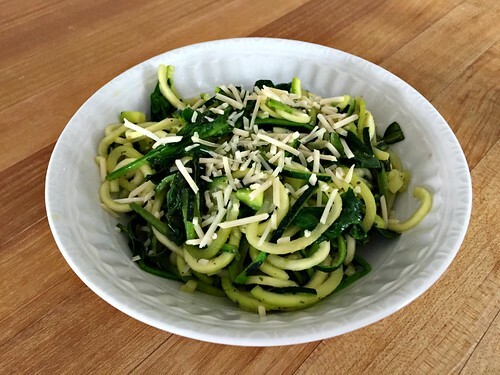 Here is a post about how I make and cook zucchini noodles… and this this is a really good, really basic zoodle recipe! 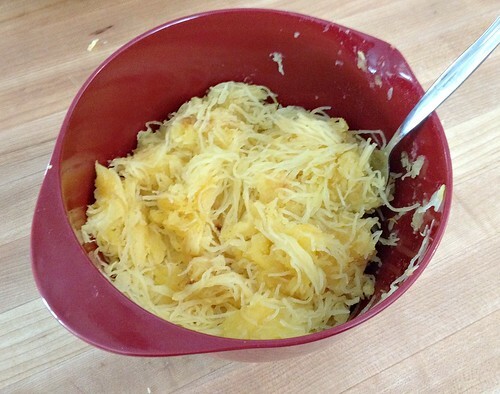 The kids still aren’t totally on board with zoodles, but they eat spaghetti squash like champs — I’m honestly not even sure they realize it’s not actual pasta noodles! Dave and I are so used to the slightly different taste/texture now, that it doesn’t phase us a bit. Since zucchini is VERY watery, I sautéed it first to remove the excess moisture. 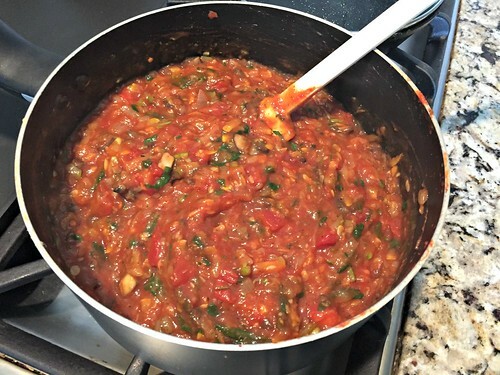 On a whim, I added in a bunch of other veggies that needed to be used up sooner rather than later, and simply dumped the pan of sautéed veggies into my tried-and-true, semi-homemade pasta sauce… WOW, WAS IT GOOD!!!! I have made several different variations, using whatever veggies I have in the fridge — and now, thanks to an abundance of cherry tomatoes, I’m dicing all my own tomatoes for the sauce too. 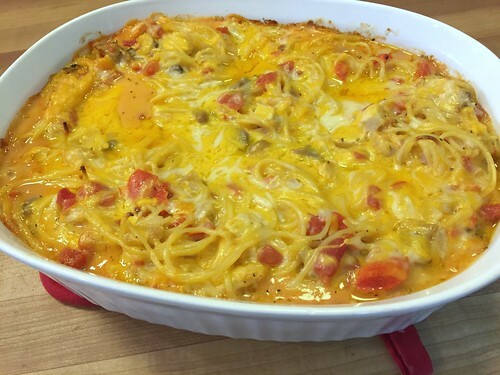 The kids just keep shoveling their beloved “pasta” into their hungry mouths… and I just keep adding more and more and more veggies. I’m using up garden veggies AND getting the veggies into my kids’ bellies with a super simple, quick meal — that’s a win-win for sure! your favorite pasta sauce (store bought, homemade, etc.) Here is my semi-homemade pasta sauce recipe. NOTE: You can add ANY vegetable you have in the house — and the quantity really doesn’t matter. A little more or a little less will work just fine. This is a VERY forgiving recipe! Also, feel free to add in cooked ground beef, ground sausage, grilled chicken, or even some boiled lentils — we’ve done it all with fantastically tasty results! Sauté zucchini, summer squash, onion, mushroom, and pepper until very soft and until most of the liquid has evaporated (roughly 10 minutes). Stir regularly to prevent burning or sticking. NOTE: If I want to speed up the sautéing process, I sometime remove the extra water from the zucchini and squash by squeezing it with my hands over the sink. It’s insane how much water I get out this way! Add in spinach and sauté until wilted. 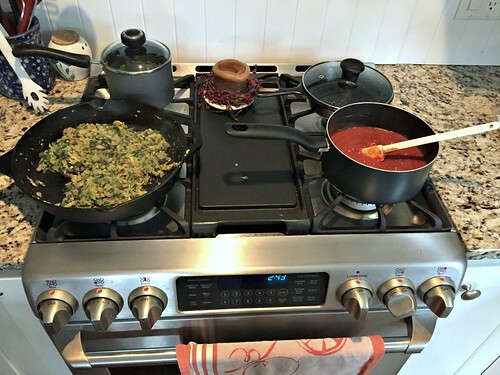 While veggies are sautéing, make (or reheat) your favorite pasta sauce in a medium to large sauce pan (I use 1 can of tomato paste, 2 c. of diced tomatoes, 1 packet of spaghetti seasoning mix, and the water called for on the packet of seasoning). Once the sauce is warm, add the sautéd veggies (and any pre-cooked meat) to the sauce, stir to combine. The picture below is my recipe for 10-minute lasagna, using spaghetti squash as the noodles, layered with the traditional cottage cheese mixture, this marinara sauce, and a decent amount of cheese. So yummy! This is A LOT of veggies packed into one serving of pasta sauce — feel free to start small though! 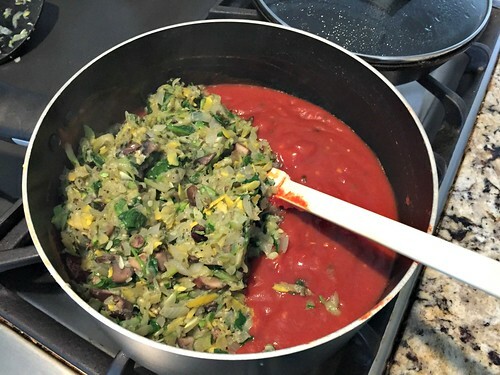 Maybe just add one shredded zucchini to your sauce and see what your family says. 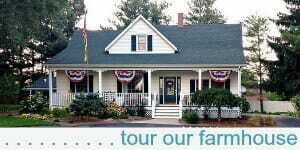 Then add more from there. Also, adding ground beef and/or ground sausage will help to mask any texture and flavor that might be different due to the extra veggies. 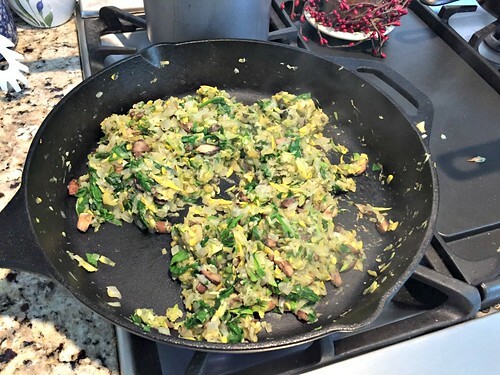 Speaking of the texture, if you don’t want all the extra texture, simply put the sautéd veggies into a blender or food processor and pulse for a few seconds. It will result in a much smoother sauce. 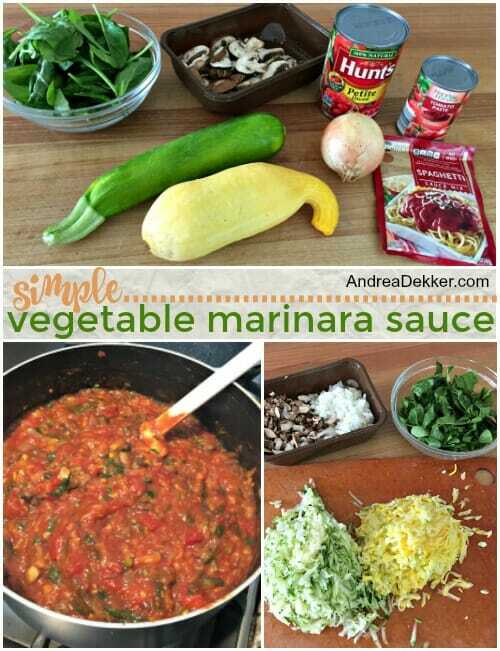 Either way, this pasta sauce is a fantastic way to incorporate more vegetables into a very family-friendly meal! So… do you think your kids (or your husbands) would eat it? nope.. neither would my kids. Do not like chunky sauce . I have done this for years but because my kids balk when they even see the veggies, I puree all of them in the food processor or blender and then add to the sauce. No one ever finds a chunk of mushroom or a green leaf that way! I’ve been using up yellow squash by shredding it finely and cooking in with ground beef and seasonings. 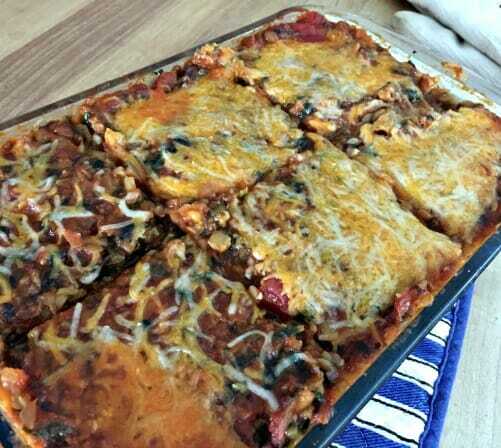 It stretches the ground beef and sneaks in more veggies! yes, I do this too — and also add in some cooked lentils or roasted mushrooms (the mushrooms almost even LOOK like ground beef when they are chopped and roasted)! What is in the white oval casserole dish? It looks good! 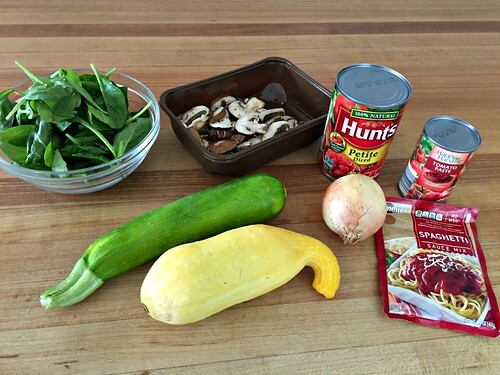 We’ve always added the normal stuff like garlic, onions, mushrooms & peppers to pasta sauce. I’ve been adding cooked, diced or shredded carrots to pasta sauce for a few years. They really blend right into the sauce & you don’t notice, but I feel like it gives it some extra nutrition. I’ve never thought of adding squash or zucchini, but I’m going to try it! the squash and zucchini are GOOD additions — but they are watery so you have to let them cook down a bit. This is how I do it too except in an instant pot – SO fast, and so much flavor locked in! Doesn’t it add so much good flavor? Your sauce looks delicious. 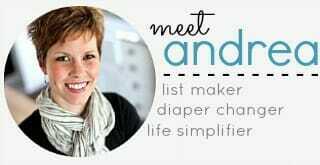 I’m convinced you would love the instant pot Andrea. Such a time saver. I just throw the veggies in chunks in with the sauce or tomatoes, herbs, and salt, put it on high pressure for 5-10 minutes, and then blend with a stick blender. I do it for soups, stews, curries, chilis…etc. Lots of extra secret veggies! (my husband doesn’t like veggie chunks but will eat them blended, and it works for the kids too.) The best part is you can saute and slow cook in it too! 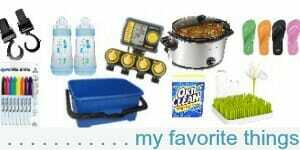 I got rid of my crock pot. It’s so nice to be able to only get 1 pot dirty! And if I’m running behind (type b personality here 😉 ) I can throw the meat right in with the sauce (not if I’m going to blend it of course) and cook it all together, even from frozen. It’s been so helpful during these years with babies who make it hard to get lots of hands on kitchen prep time! I second the Instant Pot for hard boiled eggs. It’s the only way I do them anymore. So fast and easy! I don’t like veggie chunks also – ok some – but not a lot and if i see too many i would pick them out – so i was thinking immersion blender as well. And garlic. yes… always garlic! That’s a given (which is probably why I forgot to add it into the written recipe 🙂 Whops! you have me coveting an insta-pot right now (and I’ve never really wanted one before!) haha!